Hello 12 Angry Old Men. Back in ye olden days, I used to have a website. It was back when if you wanted to post any pictures or tell anyone what you were up to, you had to update the code and post it on your own website. You didn’t have Spacebook or anything. Come to think of it, given how tough writing HTML code was, everyone should thank their lucky stars that Zuckerburg made the website where all you had to click a couple buttons and everyone could know you were at the ballpark drinking beers in the hot sun. Yeah, HTML code sucked. I’m glad I learned how to write it, but I’m even more glad that I don’t have to anymore. Ok, lets’ be honest folks. I really don’t read “books” anymore. Well, not in the traditional sense. Not because I don’t want to. It’s just that I have so many comic books to read, that going through my never ending read pile is always my first priority. In fact, I usually have two comic book series in my current rotation at all times, one series I read during the day (usually a paper copy TPB or Graphic novel) and one series I read before bed (usually a digital comic or series). American Nightmare is my current paper “daytime” book. 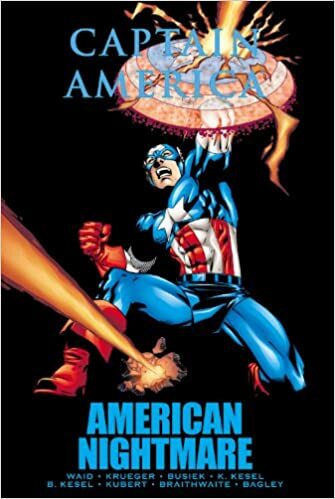 It’s a collection of Captain America comics from the late 90s- early 00s, it’s a part of Mark Waid’s classic run on the character, many of which agree helped bring old Wing Head back to some semblance of relevancy after years of poor comics in the late 80s through mid 90s (Captain America as a Werewolf for example). I picked the series up in hardcover for about 4 bucks about 2 years ago, which was an absolute steal for a hardcover, and it was sitting on my shelf for the longest time. But the movie Infinity War build up stoking the fires of my interest in the All American crusader again, I thought it would be good time to read it. So far I’m about half way through, just finishing the actual American Nightmare story line in which Cap and gal pal, Sharon Carter, are fighting the Dr. Strange main stay villain, Nightmare, for the souls of the American people. Kind of a weird story for a Cap book, given the mystical and supernatural overtones but overall a good read and one that showcases Cap’s core character traits well. The remainder of the book is a collection of various annuals from around the same time period, written by various people. I’m in the midst of a Iron Man/Captain America team up written by one of my favorite authors, Kurt Busiek. I’m actually surprised to see that the story has a lot of the same undertones of the contrasting personalities of Cap and Shell head that were the driving force of Civil War. I didn’t know the roots stretched back as far as Busiek’s run, and it some ways I’m glad they do. It doesn’t make Civil War and Iron Man’s actions seem so “sudden” in retrospect. 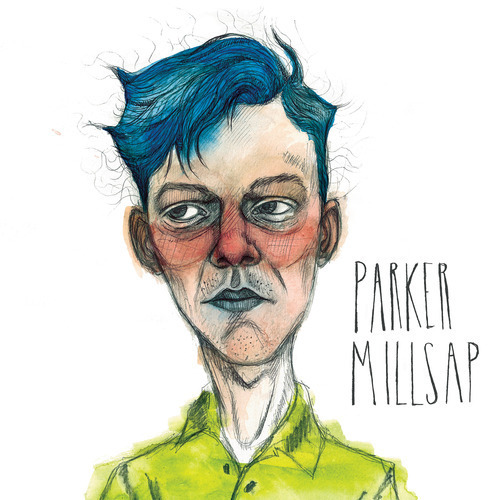 Started listening to Parker’s music a couple years back after hearing him on my local NPR station, WYEP. A definite slice of Alt Country with some strong bluegrass roots, Mr. Millsap not only has some catchy twangy guitar work, but overall his lyrics are nothing to sneer at. He recently put out a new album, but I’m still drawn to his first major self titled release so I’ve had it on shuffle during my evening comic reading sessions. A personal favorite song is “Land of the Red Man” with the lyric: “I’m leaving Oklahoma, I gotta find me some new friends, ‘Cause the devil cooked all the books and he burnt all the blueprints. Then he ran for office and they got themselves a new prince”. It’s just super clutch for some reason. My brother, Ethan, gifted me this game for my birthday on Steam two or three years ago. Like my music, I often times revisit games I really like over and over again every couple of years, almost in shifts. 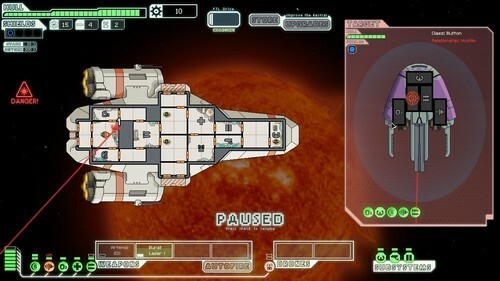 FTL has now made it’s way back into the rotation. Deceptively simple at first in terms of game play, this game boasts a insane amount of complexity once you break the surface. It’s a turn based space ship simulator type game in which you have a crew made of 6 possible alien races, a multitude of different enhancements, weapons, and tech you can add to your ship (everything from cloning bays to teleporters to drone control), and a completely randomized matrix of events that can happen to you at each port of call along your journey. The goal is to reach the 8th solar system where you’ll fight the flagship of your enemy, a bunch of nasty space rebels, and that definitely sounds a lot easier than is, what with having to maintain your ship with supplies, fighting off other alien ships, fixing damage from asteroid belts and solar flares…the list goes on and on. Plus, there’s no real save game state. The game will save your position when you exit the game, no other time. So if your ship is destroyed by any number of hundreds of threats the game throws at you, like Donkey Kong or Pac man, you gotta start all over again from the beginning. That kind of finality in itself is harsh for anyone used to just loading back up the game from the last save spot if someone goes wrong, but it’s part of the charm. You can spend all this time working towards this goal and like real life if Lady Chance throws the wrong curve ball at you, it’s back to the end of the line to start all over again. Some people would get frustrated with that but I view it as a challenge and as something that increases the replay value of the game ten fold (which as most of you know is the most important sign of a good game for me). 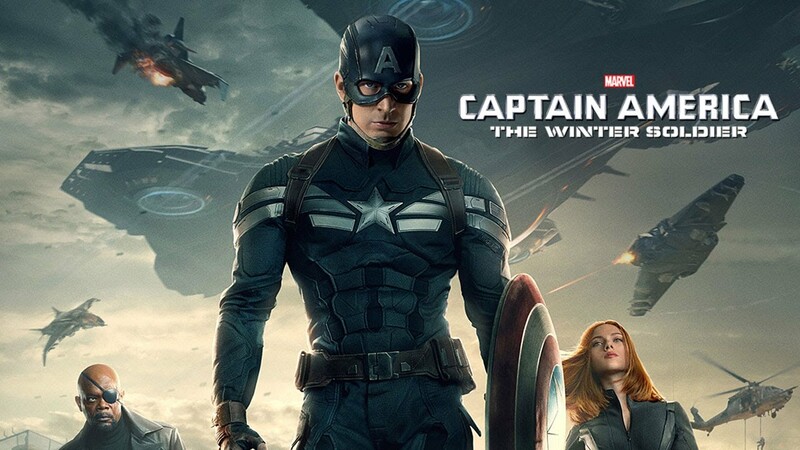 Captain America, The Winter Solider? I guess back when I had this website, I watched a lot more movies that I would actually have one that changed from month to month. Honestly, the last movie I watched was Winter Solider as it was next up on my “let’s rewatch all the MCU movies in order other than Iron Man 2 as it sucked nads”. So I guess that’s still my current favorite movie or at least until I get to Thor: Ragnarok in the rotation or something else I think is a better MCU movie. That it was a very good film? Yes, yes it was. I wouldn’t consider it the best Marvel film, but that’s the thing about these Marvel Cinematic Universe for me. They aren’t exactly films to be judged by themselves. It’s almost as if they are episodes of some huge TV show with enormous budgets and long wait times in between seasons. And as long as they keep churning out good “episodes” then I can say that the series is the best Marvel output to date. Sure, like any TV series, you are going to have some episodes that are better than others, like Iron Man 2 & 3 are definitely more valleys than peaks (y’know like the ones to fill time in between sweeps weeks), but as long as on the whole they are decent, I’m still going to be religious following them. I can say though with all certainty that both Marvel’s Thor and Captain America themed “episodes” have been consistently the best of series with some of most credible threats, characterization, and overall plotting seen to date. In Winter Solider, I particularly liked the scenes with Armin Zola. 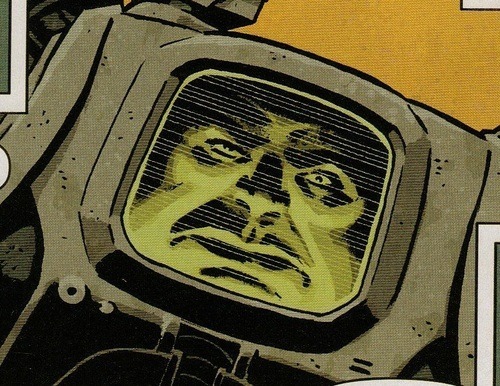 Although it’s difficult to make a credible threat out of a mad scientist with a TV for a stomach, I thought the execution of this long dead crazy in some sort of fallout bunker running off a room full of 1950s style computers was extremely creepy. Like a lot of the rest of the movie, it struck me as tapping into some throwback cold war style paranoia which really works for a Captain America film. It’s sad that it was all done in the name of glorified plot exposition, but still the visuals were striking and fit the overall tone of the story well. But I disgress…as I said, this is not a review of Winter Solider. That ship sailed four years ago. Get with the program people….